The much anticipated sequel to one of the most popular MMO games is here. 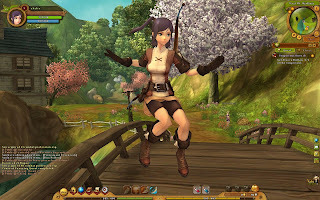 Ragnarok Online 2 is a free MMORPG that tries to take what made the original game one of the most played F2P games ever and update it with the current gameplay mechanics, including a new 3D engine. Although the engine is new, it still manages to keep the charm and colorful anime visuals that helped make the original so loved by players from all over the world. Players may choose from the first class of jobs, that includes classes such as the Swordsmen, Archer and more, while the second class offers choices that include the Knight and the Ranger, among others. The new duel life system allows players to set up their characters as NPCs so that they work while you’re offline, making a profit. Ragnarok Online 2 is a sequel that builds on the strength of the original and offers many hours of exploration and combat.